Blog posts tagged "Dr. OZ"
antioxidant, fucoxanthin. Fucoxanthin is a caroteniod compound found in Modifilan Brown Seaweed. Researchers have also found that Brown Seaweed extract is useful for the heart, it is cardio protective. certain types of cancer cells to self destruct. your path toward total body well being. 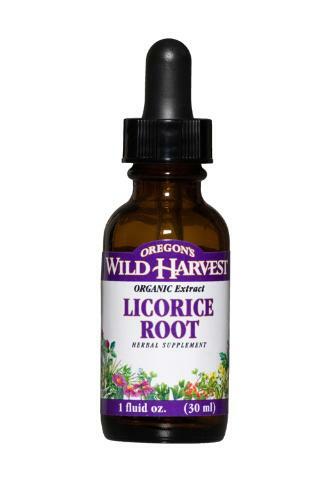 Licorice Root named "Medicinal Plant of 2012"
How interesting, I hardly knew when the nominations were? Licorice is certainly an interesting plant. It is widely known as a flavoring for "Licorice" the black chewy candy. Before its fame in the land of sweets it was and still is used widely in Chinese medicine. And this year it got another boost from Dr. Oz. On his show he told everyone how licorice can aid weight loss, when used in conjunction with Modifilan brown seaweed extract. If you are interested in learning more about Modifilan there are 3 other posts on this blog about Modifilan. Just search for them. Back to the star Licorice. I recently came across a study that has found licorice compounds to be beneficial for people with diabetes. This is completely new research, really new research and we will be seeing more about this as it develops. So far this is what we know. Certain molecules found in licorice reduce blood sugar and possess anti-inflammatory properties. The molecules of interest are known as amorfrutins. And, they seem to reduce glucose levels which in turn prevents insulin resistance. It is important to note that the concentration of amorfrutins in licorice is to low to be effective. So researchers are looking to concentrate amorfrutins and study it on humans. So far tests have only been done on mice. *This research was carried out by the Max Plank Institute for Molecular Genetics in Berlin, Germany. licorisoflavan A, are effective antibacterial substances. These substances killed two of the major bacteria responsible for dental cavities and two of the bacteria that promote gum disease. One of the compounds -- licoricidin -- also killed a third gum disease bacterium. The researchers say that these substances could treat or even prevent oral infections. This is an excerpt from a story published by the ACS. products that you are taking. The title of this section says it all, "Improves the effects of diet and exercise". This doesn't take the place of diet and exercise. The report on brown seaweed has been a mixed bag; mostly positive with the most positive results coming when it is combined with diet and exercise. So if you are looking to lose a little weight and want positive results, combine brown seaweed with diet and exercise. Brown seaweed extract was popularized as a weight loss product by Dr. Oz, he was and you can use this to regain your perfect healthy weight. It has been indicated that this supplement helps by increasing fat metabolism, which can help to shed unwanted pounds. We have also heard reports of brown seaweed help to quell the appetite. This has helped people maintain healthy eating habits, the sense of being full faster has stopped them from over indulging. And anecdotal reports suggest people using brown seaweed extract notice an increase in energy and a more balanced energy throughout the day. Why Can't I Just Eat Seaweed? Well, you can and we certainly do encourage that but there is a difference between eating seaweed and using brown seaweed extract. The treasured elements in brown seaweeds, are enhanced through a special cold-temperature extraction technology. Which keeps intact the delicate molecular structure of brown seaweed. And MODIFILAN is not just another dry seaweed product - it is highly concentrated product. FORTY pounds of raw seaweed is needed to make ONE pound of MODIFILAN. So why you can eat seaweed you won't be getting the benefits that are reported by those who use brown seaweed extract. Reports suggest that the effects of Modilfilan brown seaweed are enhanced when used in conjunction with licorice extract. This may be due to the fact that licorice can increase metabolism, when combined they seem to work synergisticaly to support healthy weight. So as you begin to improve your diet and exercise regularly you may beginning seeing added weight loss particularly in the mid section, when using brown seaweed and licorice root extract. Reports suggest that it will take 1-2 weeks to notice the benefits of these herb, depending on your routine. What else does MODIFILAN do? - Boosts the immune system. - Can help protect against thyroid cancer and other cancers. - Helps to decrease high blood sugar and cholesterol levels. - Detoxifies the body from heavy metals, radioactive elements, free radicals and toxins. - Helps those who are overweight by improving the function of the gastro-intestinal tract. - Improves the structure of hair and nails and help them to grow. - Help to detoxify smokers from strontium and cadmium. Brown seaweed is not just good for losing belly fat, in fact this is a side benefit to its main application, which is its ability to detoxify the body. Aliginate compounds in concentrated brown seaweed such as Modifilan bind to toxic metals and radiation. The body is then better able to effectively deal with these toxic compounds and expel them from the bodies. Below you will find a breakdown of the major compounds in Modifilian and their purpose. *Organic Iodine feeds the Thyroid Gland, which controls metabolism and promotes maturation of the nervous system. Iodine is important for thyroid disorders, wherever underactive or overactive. *Alginate is a natural absorbent of radioactive elements, heavy metals and free radicals. It has the unique ability of binding heavy metals and radioactive elements to its own molecules. As the Alginate cannot be broken down by the bile or saliva and cannot be absorbed by the body, it is secreted from the body together with the heavy metals and radioactive substances. *Fucoidan causes certain types of rapidly growing cancer cells to self-destruct. Promoting apoptosis (self-destruction of cancer cells), Fucoidan helps to naturally eliminate harmful cells from organism. *Laminarin is a polysaccharide helpful in the prevention and treatment of cardiovascular diseases. Summary Modifilian brown seaweed extract is a unique supplement that provides a wide range of benefits and when used in conjunction with diet and exercise user reports suggest it has helped them shed extra pounds at a quicker rate than they were used to. Enlighten your sweet tooth with this delicious alternative to ordinary sugar: Coconut Sugar. Delicately sweet, with a hint of smoky caramel, this natural plant sugar is the perfect substitute for white or brown sugar. Similar to the syrup tapped from maple trees, coconut sugar begins by tapping the nectar from the flower buds hanging from the heart of coconut trees. Palm sugar is traditionally hand-harvested in the canopy of Indonesian coconut groves where farmers have harvested the nectar from coconut palm trees for herbal medicine and food for centuries. Coconut sugar is unrefined and has a low glycemic index. 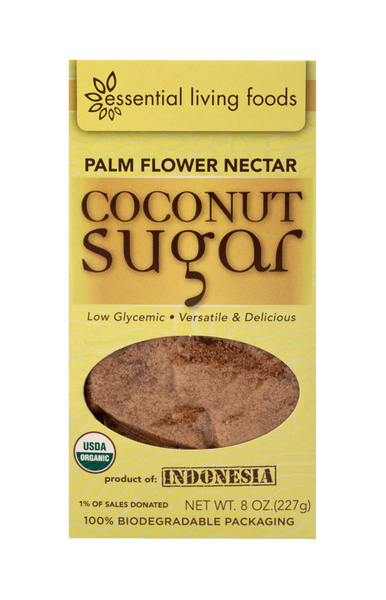 Essential Living Foods Palm sugar is a healthy alternative sweetener that has a lower glycemic index (GI35) than regular sugar (GI100). Organic evaporated palm sugar is especially high potassium, magnesium and zinc, as well as vitamins B2, B3 and B6. This palm sugar is unbleached, unfiltered and free of preservatives. This delicate unique sweetener is mild and smooth and perfect for your morning cup of tea or as a recipe substitute for ordinary sugar. My mom is now trying a gluten free diet. After years of undiagnosed stomach and digestive issues she is taking a cue from Dr. Oz and cutting gluten out, to see if this will improves her health. Dr. Oz is like an angel in a lab coat, even though he doesn't wear one on t.v.. I say this because he has brought to the public's attention a major health issue, which is celiac/gluten intolerance. I personally know many people who experienced life changing benefits once they cut gluten from their diets. Zebra Organics and it's founders Randy Olsen and Mark D'Aquila have been exploring the world of healthy eating, raw food and local food for the past 15 years. And, we teamed up 5 years ago to bring what we feel is the best of all these categories and more to the world. While neither of us suffer from any debilitating gluten intolerance, it just so happens that the foods we love are gluten free. So we decided to devote an entire section of the site to gluten free foods, most of these also fall into the raw food category. These amazing Kale Krunchies are truly healthy snack, they are made from the following amazing organic ingredients: Kale, Sprouted Sunflower Seeds, Sprouted Pumpkin Seeds, Sesame Seeds, Cashews, Lemon, Cold Pressed Sunflower Oil, Himalayan Salt, Herbs de Provence and Love. They come in 3 flavors: Herbs de Provence, Mega Green and Sassy Spice and they are on sale. 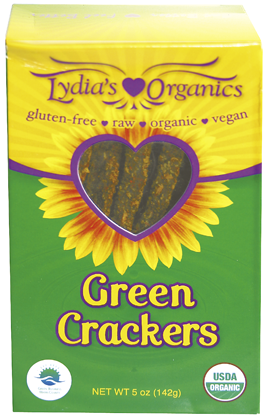 Besides their gluten free status they are also an innovative take on kale, transforming it into a crunchy cracker. Now that we have covered some savory gluten free options, what about breakfast? We welcome into the breakfast bowl, Living Intentions Acai/Blueberry superfruit cereal. Enjoy a bowl of this antioxidant rich cereal, which is filled with a combination of blueberry, acai, bilberry and elderberry in synergy with Vitamin-C potent amla berries and camu camu. This cereal is a powerhouse of beneficial berries that will help keep you energetic, healthy and vital. We also have two lovely gluten free breakfast cereals available from Jake the genius behind Earthling Organics. The entire collection of Earthling Organics products are raw, gluten free and low glycemic. To view the entire product range available please visit our section on Zebra Organics devoted entirely to Jake's creations. At Zebra Organics we stock a variety of healthy foods and a favorite of ours is seaweed. These vegetables of the sea contain a wide range of nutrients not found as easily in land vegetables. The are fun to eat and add variety and nutrition to the diet. Seaweed is a common food in Japanese cuisine, one the most popular varieties being Nori. One of the great benefits to consuming nori is that it contains an abundance of omega 3 fatty acids. Omega 3 fats nourish the skin as well as the brain and modulate cholesterol levels and inflammatory compounds the body produces. And, it is high in vitamin C, proteins and mineral salts. Kelp and kombu are both members of the same plant family, with kelp often being referred to as "wild atlantic kombu". The main benefit of these sea vegetables is their rich content of minerals particularly iodine. They are both a natural source of this essential thyroid metabolism regulating mineral. This is the sea vegetable which is rich in the anti oxidant compound fucoxanthin. Fucoxanthin assists the body with fat metabolism, thus it may aid with weight loss. Dulse One of my personal favorites of the sea vegetable varieties is Dulse. 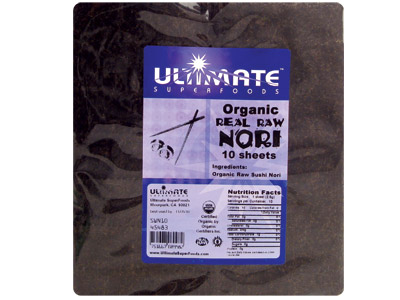 Like nori, dulse can be eaten straight out of the package making a quick healthy snack. It is exceptionally tasty and contains many of the same benefits as other seaweeds: rich in minerals, protein dense, good source of iodine, healing and cleansing aliginate compounds. Its deep red color and soft texture make it a great addition to soups and salads. Additional benefits of consuming sea vegetables is their ability to bind to heavy metals and radio active particles and safely help your body remove them. It is safe to say that nearly everyone can benefit from adding these miracles of the sea to their diet. To make that easier for our customers we are running a sale on all Maine Coast Sea Vegetables, now is a good time to stock up and save. Interest in the compound Fucoxanthin has sky rocketed recently thanks in part to Dr. Oz. Which has led us to share a bit more about this amazing substance. Fucoxanthin is a seaweed compound and we are big proponents of consuming seaweed, a natural wild vegetable from the ocean. One reason we like wild foods is because they offer a richer and wider nutritional content than farmed foods. Seaweeds are a miraculous food, they contain an array of complex nutrients and minerals not found anywhere else. Of particular interest are the polysaccaride compounds and antioxidants in brown seaweed. On a recent Dr. Oz show he mentioned a report which showed the promise of the antioxidant, fucoxanthin. Fucoxanthin is a caroteniod compound found in brown seaweed aka as wakame. By working to increase the synthesis of a key protein involved in fat metabolism, fucoxanthin helps the body burn extra fat. While wakame contains this substance it is not present in high of quantities to make a difference. Researchers recommend using it in supplement form where this key antioxidant is concentrated to levels that make it useful as a fat burner. This amazing substance increases cellular metabolism even while the body is inactive. This in turn also helps to normalize cholesterol levels in the body. Taking Modifilan Brown Seaweed extract in addition to a healthy diet can help you get over the hump and headed to the proper weight and cholesterol level for your body. When using Modifilan seaweed extract not only will you be helping your fat metabolism but you get added heavy metal and radiation cleansing effects as well. This product has been studied for its ability to bind to and help the body excrete radioactive isotopes including cesium, strontium and radioactive iodine. This is promising, as the nuclear disaster in Japan has many people worried about potential radiation poisoning. In a previous blog post I talked about the ability of seaweed to cleanse heavy metals from the body. Modifilan being a concentrated supplement greatly assists in the removal of heavy metals from the body. Our environmental conditions today means that we are exposed to heavy metals, of these metals mercury is common contaminant we must deal with. In studies researchers have found that Modifilan binds to and removes this toxic heavy metal from the body without incident. Researchers have also found that brown seaweed extract is useful for the heart, it is cardio protective. And it has certain anti-inflammatory properties that benefit the gastro intestinal tract. As well as protecting the thyroid gland and causing certain types of cancer cells to self destruct. Along with its belly fat burning properties, brown seaweed extract has a many positive health benefits. Whether using it for weight loss or to cleanse the body this is a powerful supplement that will help you on your path toward total body well being. We've been in love with seaweed for years and are always amazed at the accolades they receive. So when we heard Dr. Oz was boasting about the weight loss and belly fat burning benefits of fucoxanthin from brown seaweed extract we were not surprised. The belly fat burning power of brown seaweed extract can help you speed your weight loss goals dramatically. As Dr. Oz reports the compound Fucoxanthin can help you safely lose up to one pound a week. This compound found in brown seaweed extract works to speed up your metabolism and lower glucose levels. This powerful combination mean significant weight loss in a a short period of time. It works with the hormone which causes your body to store fat, especially in the belly region. Other amazing properties of Modifilan besides fucoxanthin include organic iodine, alginates and laminarin. These compounds support health and well being in a number of ways. The organic iodine found in brown seaweed supports the healthy function of the thyroid gland, whether over or under active. The alignate compounds in brown seaweed also help to detoxify the body of heavy metals and radioactive compounds. These aliginates actually bind to toxins and safely carry them out of the body. Brown seaweed extract also contains the heart supportive polysaccaride laminarin. While Dr. Oz reported on the weight loss and belly fat burning properties of Brown Seaweed Extract it is clear that adding this supplement to your diet can have numerous health benefits. Because seaweed is natural it can make a safe addition to most peoples diet. Enjoy the holidays and don't forget to support yourself health and weight loss efforts with 2-4 capsules of Modifilan daily. What the Heck are Goldenberries . . . ? Besides being tart, sweet and loaded with bioflavonoids goldenberries are a lot of fun to eat. Goldenberries also known as Incan berries are sourced from Peru. Where they were and are still enjoyed by the native population. Goldenberries are a close relative of the tomatillo and is known as Cape Gooseberry. The goldenberry is not a true gooseberry though, it is a member of the Solanceae family which includes ashwaganda and goji berries. What are bioflavonoids you might be wondering . . Theyare co-factors to Vitamin C. they help the body to absorb and utilize vitamin C. They also have their own health benefits to impart which include strengthening capillaries, improving eyesight and enhancing the function of connective tissue. They nurture the skin and support the body during allergy season, as they naturally inhibit histamine. Goldenberries are also high in protein which is uncommon for berries, 16% protein by weight. They are also rich in phosphorus and Vitamin A. They are also rich in B complex vitamins and according to Dr Oz, eating a 1/4 cup of goldenberries each day will improve your waistline. 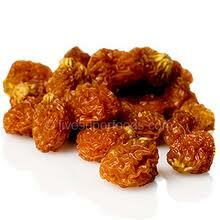 Dr. Oz calls it a belly fat blaster, we agree with Dr. Oz and his recommendation to consume golden berries. And, we want to ensure our customers know that we believe in taking a multi pronged approach to losing weight will give you the best results. We are grateful to Dr. Oz for bringing awareness to this wonderful food. When you visit our store consider stocking up on goldenberries, greenfoods and a healthy protein based meal replacement to aid your weight goals. Enjoy our heirloom Goldenberries by Essential Living Foods they are raw, organic, kosher, vegan, gluten-free and flavor packed. Our new crop for 2012 is fresh, plump and delicious. This piece was written and compiled for Zebra Organics by Mark D'Aquila, flower essence practitioner, www.mediflower.com.